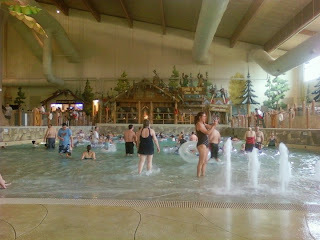 First I want to thank Chevy and Great Wolf Lodge for the wonderful opportunity that they have given to my family. 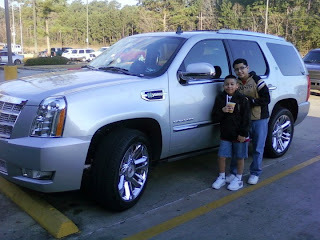 Chevy/GM delivered a 2010 Cadillac Escalade for us to drive to Great Wolf Lodge in Grapevine, TX. 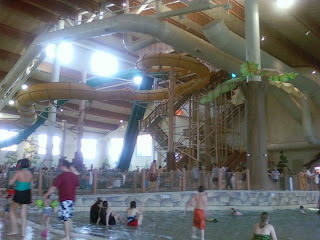 Great Wolf Lodge is giving us a free night stay that also gives us access to the waterpark. This morning we woke up at 4:30 am to get started on our road trip. You know waking up after staying up late until 1:30 a.m. is no joke. 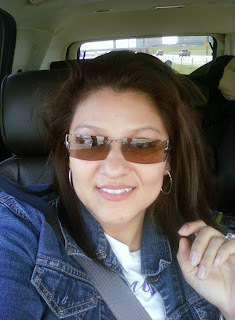 As we got ready to load up the Cadillac Escalade, we grab all our things and got on the road. The Cadillac Escalade has 3 road seating which we did not need, but when you put the seats down we get more room for all the luggage. And yes, 1 night stay and we packed that much stuff. We never get out as you can. The kids got their headsets on, and 2 different movies were put on. I got the passenger side, pulled in my phone to charge so I could tweet. We placed our drinks in the cup holders that can chill or warm your drinks. Set our seat preferences, temperature preferences, got the navigation ready, and got on the road. 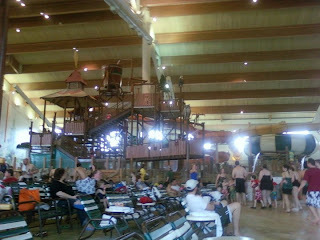 We are here...... Ok so we just got here and I have to give you a glance at what is going on here. Let me show you what we arrived to. Wow, what a fun opportunity! How did you get so lucky? Beautiful! I'm sure you and your family had a blast!